Discover top holiday destinations with our escorted tors of Italy. Coach holidays to Lake Garda, Lake Como, Venice, Florence and Rome have been the most popular choice with our holiday-makers from UK for over many years. We have a great range of fantastic package holidays to Italy with some discounts only available when you book with us! The Italian lakes are without equal in Europe, from the rugged beauty of azure blue Lake Como, to the Mediterranean feel of Lake Maggiore with its beautiful Borromean Islands, or the largest of the lakes, Lake Garda, with its fjord like northern shores. Rising above Lake Garda are the soaring peaks of the Dolomites, an area of outstanding natural beauty. Discover one of Italy's best kept secrets, the hidden gem Lake Orta, probably one of the most entrancing places you will ever visit. Lake Garda is the most popular of the Italian lakes. 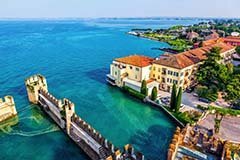 Lake Garda stretches over thirty miles from rolling plains and vineyards in the south to the majestic Dolomite Mountains that plunge dramatically into the crystalline waters in the north. Bardolino is one of the best-known of the Lake Garda resorts and has long been one of our most popular destinations, so early booking is recommended. Find coach holidays to Lake Garda. 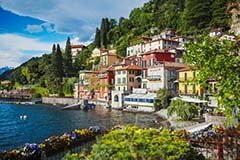 Lake Como has a lot to offer coach trip visitors to its beautiful and glamorous shoreline. Amazing scenery, crystal clear water and peaceful surroundings make Lake Como an ideal place to relax and unwind. 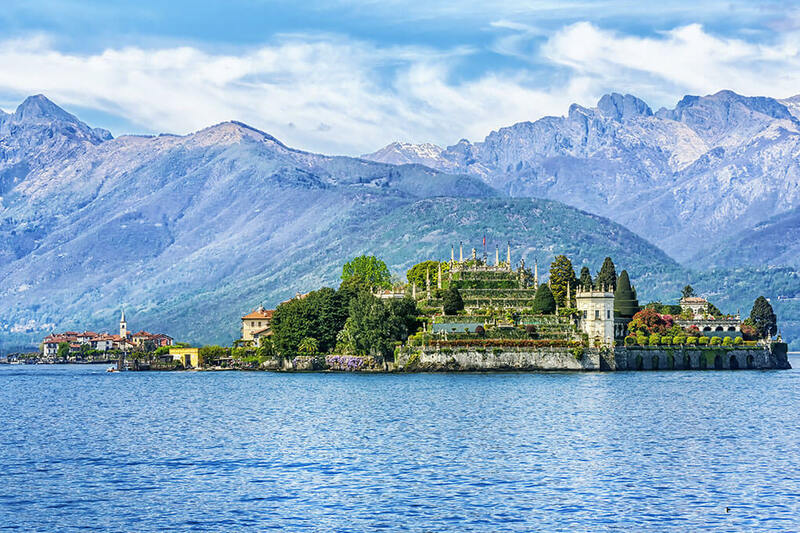 Join a boat excursion to enjoy the beauty of Lake Como seeing the beautiful lakeside villas and gardens of Villa Carlotta and Villa Balbianello. 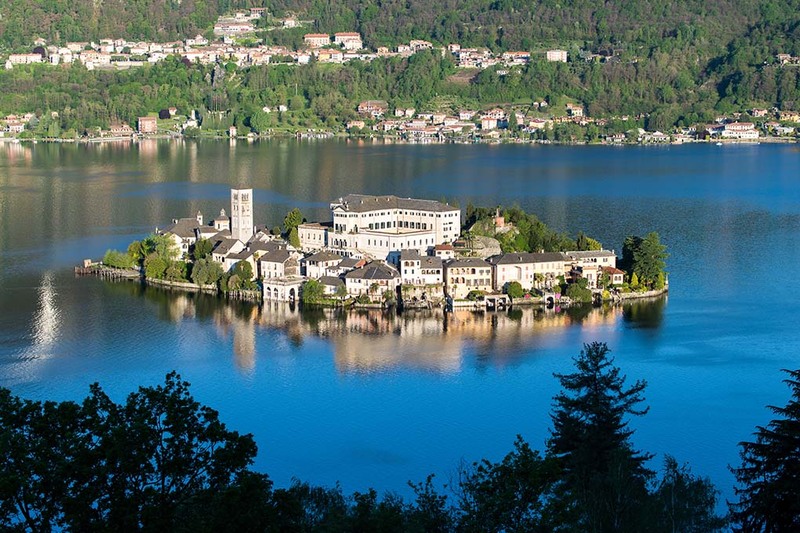 Find coach holidays to Lake Como. Steppe back into 1920's Italy and feel the old world charm at the most elegant destination Lake Maggiore. 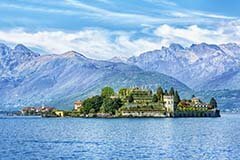 Visit an elegant and fashionable resort of Stresa, wander through the many lush tropical gardens, and enjoy a scenic journey by boat to the famous Borromean Islands, fine examples of natural beauty enhanced by landscaped gardens and parks. Find coach holidays to Lake Maggiore. Experience a perfect tranquillity at beautiful Lake Orta, one of the smallest of the Italian lakes and probably the prettiest, yet surprisingly least known. Visit a delightful lakeside village Orta San Giulio surrounded by the blue water and with unforgettable views of San Giulio Island. Lake Orta has always been popular with writers, it has an exceptional dose of charm, something for the soul and for the eyes. 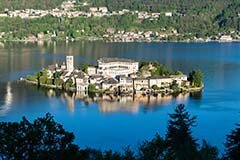 Find coach holidays to Lake Orta. Italy is home to three of the most magical cities in Europe: Florence, the City of Art and birthplace of the Renaissance; Venice, with treasures like St. Marks and the Bridge of Sighs; and Rome, the Eternal City, which captivates the imagination like no other city can. Enjoy these classical cities and many more on our fabulous holidays. 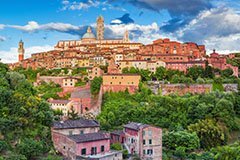 Admire the rolling hills, dotted with vineyards and olive groves, medieval villages and hilltop castles in Tuscany and Umbria. 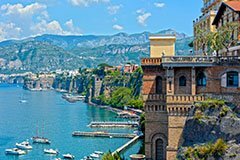 Or why not explore the charming little towns, with cobbled streets and quaint buildings on the Italian Riviera or the dramatic scenery, found around Sorrento and the Amalfi Coast. The choice is yours! With special offers and discounts throughout the year our Italian coach holiday are hard to beat! Lose yourself in the wonder of Rome, one of the greatest art cities of the world. 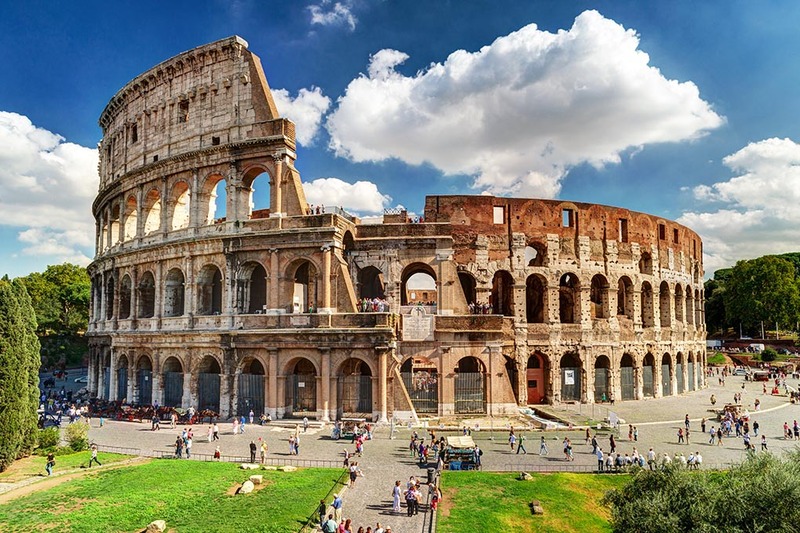 Admire the treasures and masterpieces of Roman art and architecture, from the iconic Colloseum and Pantheon, to the Dome of St Peter's Basilica and Sistine Chapel in the Vatican. Find coach tours to Rome. 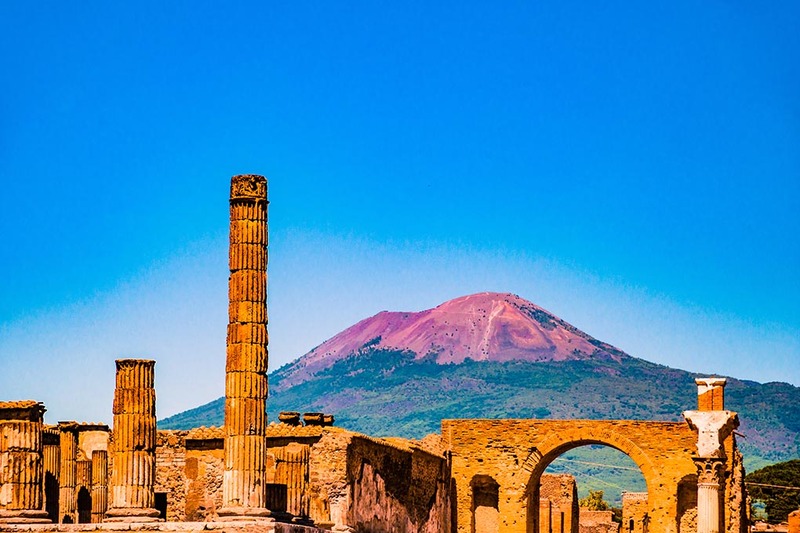 Reveal the unique history of the Roman town of Pompeii at the foot of Mount Vesuvius near modern Naples in the Italian region of Campania. Discover Europe's most compelling archaeological site, the ruins of the ancient city of Pompeii that were buried and forgotten for hundreds of years after the eruption in 79 AD. 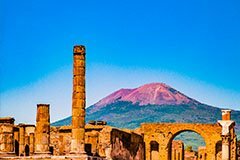 Find coach tours to Pompeii. Vine-clad region of Tuscany offers a fabulous experience and is home to possibly the greatest collection of art in the world. Florence is the capital of Tuscany region and is a truly world-class destination steeped in art and culture. 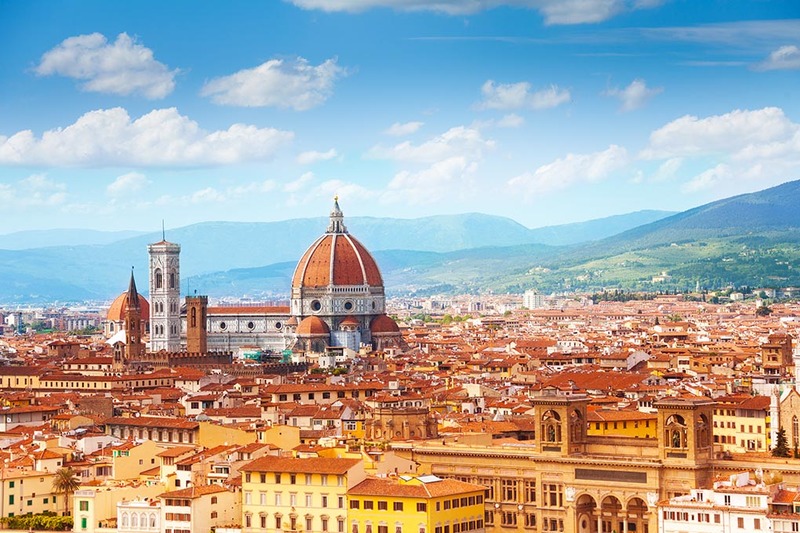 Visit the renaissance city of Florence and enjoy the endless historic sights, shops and treasures, including the great Duomo and the Ponte Vecchio. 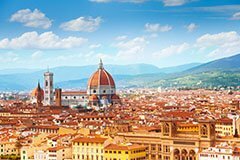 Search for tours to Florence & Tuscany. Enjoy the idyllic charms of stylish Sorrento facing the blue Bay of Naples, one of the most popular resorts on the Neapolitan Riviera. Relax in one of the many cafes, spend time exploring the narrow streets and harbour area, or join an excursion to one of the famous Mediterranean isle of Capri. Sorrento makes a good base for exploring the region's highlights and discovering the best of Italian culture. 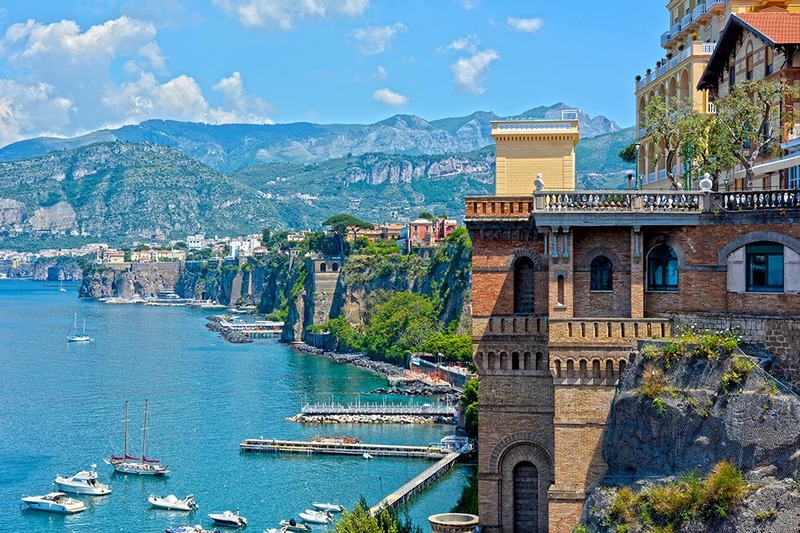 Find coach tours to Sorrento. Venice, the romantic city of bridges and canals, elegant piazzas and abundance of beautiful churches. Venice is a living museum with breathtaking architectural and historic heritage and iconic landmarks such as St Mark's Square, the Basilica, Doge's Palace and the Bridge of Sighs. Visiting Venice don't forget to treat yourself to a trip on a gondola. 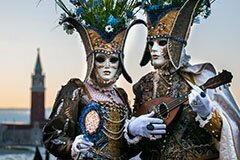 Find coach tours to Venice. 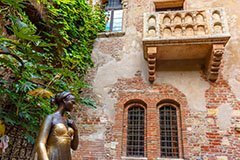 Enjoy the sights and sounds of lovely Verona, the beautiful town of Romeo and Juliet with its superb Roman Arena. The historic Arena is home to the opera in summer and the famous balcony, Casa de Giulietta, provides an ideal photo opportunity. 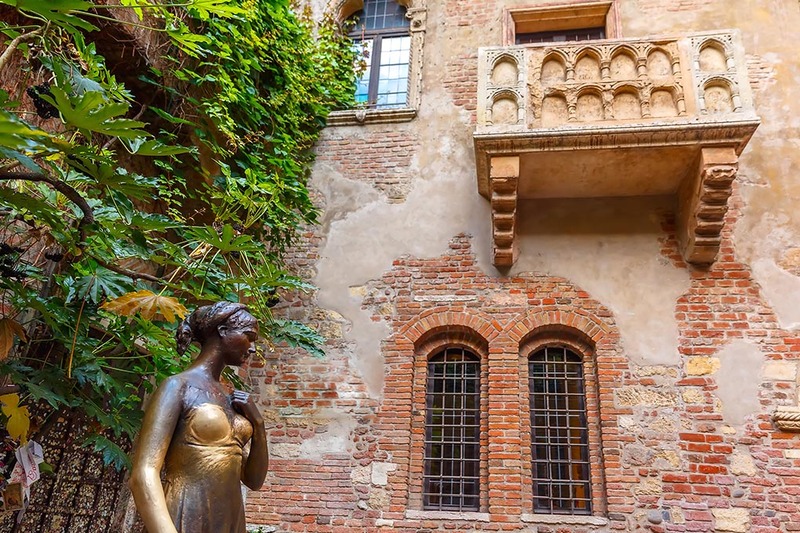 One of Italy's oldest and most romantic cities, Verona is a popular day-trip destination. Find coach tours to Verona. Pisa is a Tuscan medieval town, listed as a UNESCO World Heritage site. 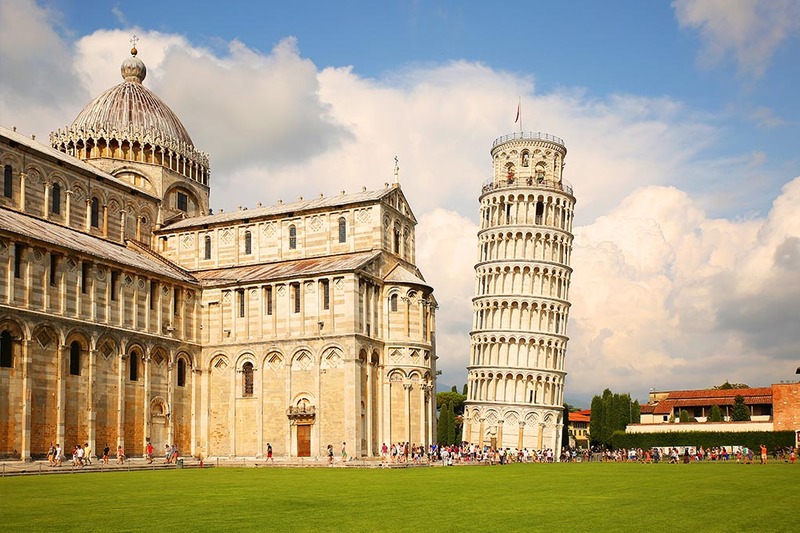 Travel to Pisa and witness one of the Seven Wonders of the World, the famous Leaning Tower. Admire the finest architectural complexes and the most popular attraction in Pisa, the Campo dei Miracoli, or the Square of Miracles. 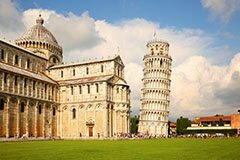 Find coach tours to Pisa. 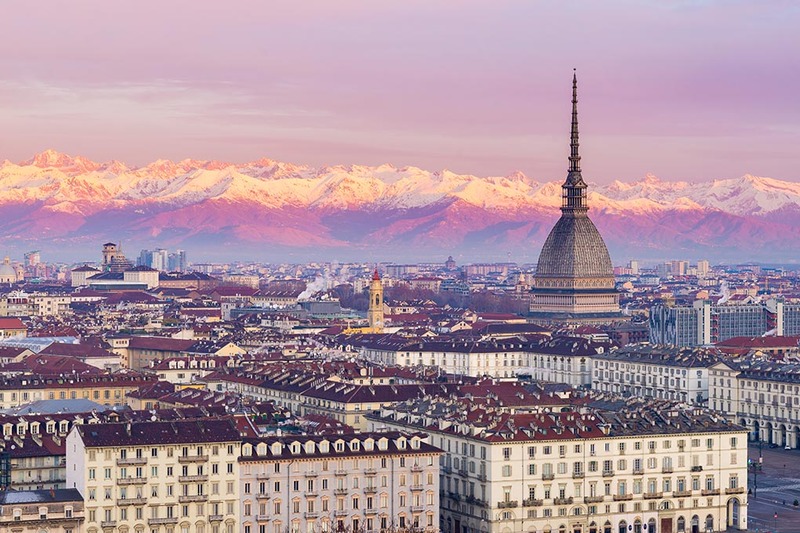 Turin, the capital of the Piedmont region, is located on the bank of the Po River at the foot of the Western Alps. 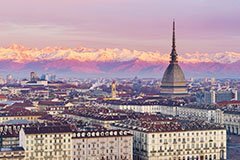 Turin is famous for its extraordinary Baroque architecture, rich history and culture. Turin features monuments like the domed Basilica of Superga and attractions such as a National Museum of Cinema. Find coach tours to Turin. 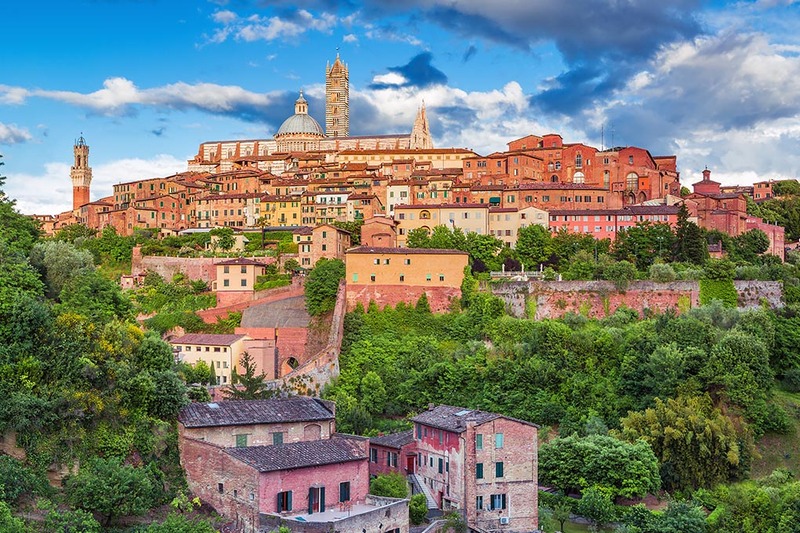 Find coach holidays to Siena. Enjoy a visit to cosmopolitan Milan, the world's capital of fashion and design. 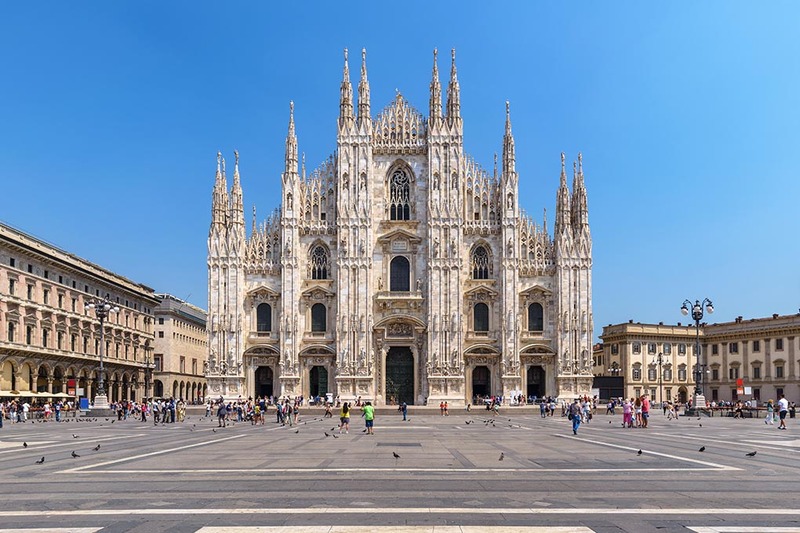 At the heart of the city you will find Milan's magnificent Gothic cathedral, famed shopping arcade Galleria Vittorio Emanuele II, the red brick Castello Sforzesco and the glittering La Scala Opera House. 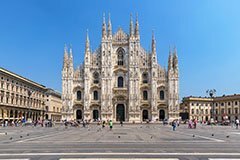 Find coach tours to Milan. The Mediterranean's largest island, Sicily, is one of Southern Italy's pearls with Europe's highest active volcano Mount Etna and stunning coastlines. 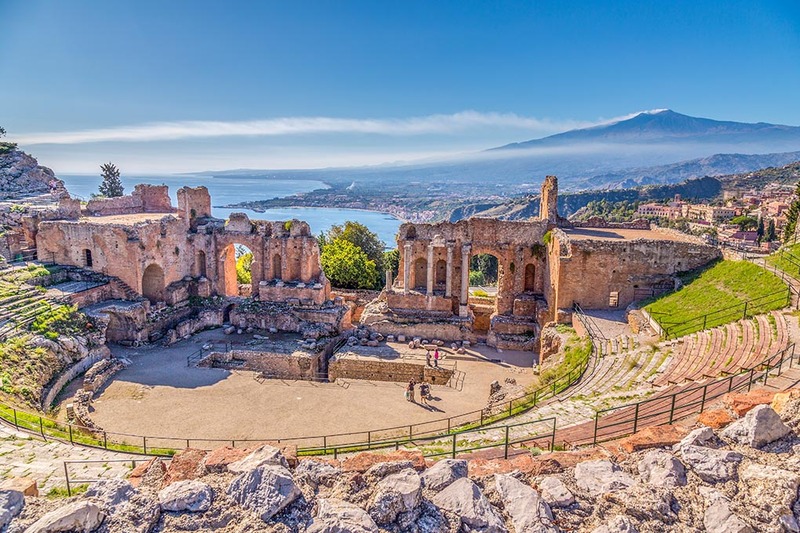 Explore a spectacular town of Taormina with wonderful panoramic views and watch a beautiful sunset from magnificent active volcano. Travel to Sicilian capital of Palermo and visit one of the most beautiful towns in Sicily, Syracuse. 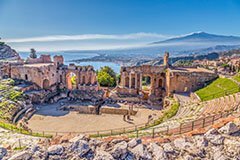 Find escorted tours to Sicily. 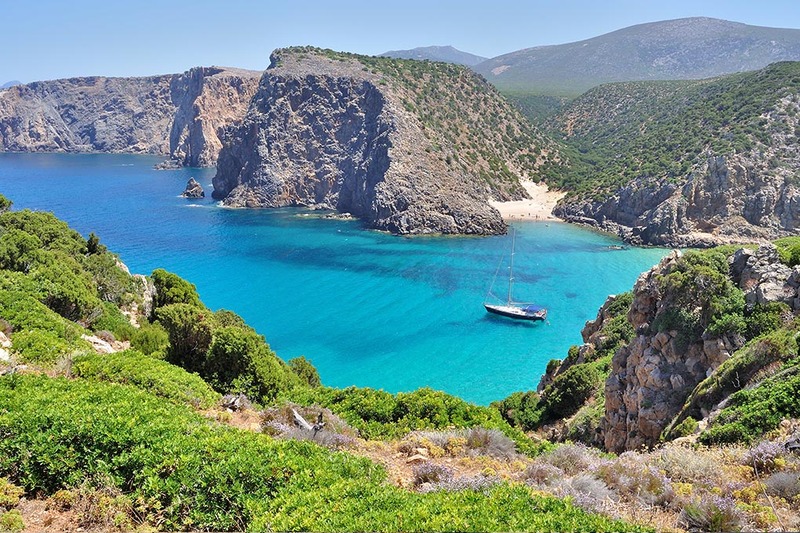 Sardinia is all about white sand and crystal clear waters. Discover picturesque beaches and azure waters of the Costa Smeralda, magnificent history and fascinating culture of this unspoilt Mediterranean island with our guided tours by air & coach. 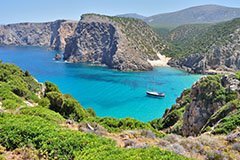 Find guided tours to Sardinia. Looking for More Holidys in Europe? Whenever you book a holiday to Italy you are sure to see many sights and attractions at this amazing county. If you cannot find a suitable tour to Italy contact us and let our experienced travel agents help you find your perfect holiday to Italy or any other destination in Europe.